A community order was replaced by a prison sentence after a man failed to comply with conditions of the order. 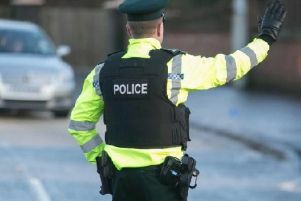 Jordon Robinson, (23) of Market Street, Portadown, had been convicted in May of disorderly behaviour, indecent behaviour and assault on the police and given a combination order of community service and probation. After he failed to comply with the order, the probation service applied at last Friday’s court to have the order revoked. A defence barrister said Robinson was given a chance with the combination order and understood the difficult situation he was in. He added that his client had a problem with binge drinking and asked the court to consider suspending any prison sentences. District Judge, Mrs Bernie Kelly, said the defendant had been told that if it was returned to court because of his lack of co- operation there would be only one sentence she could impose. For each of the charges she sentenced Robinson to four months in prison and ordered him to pay a £25 offender’s levy. The sentences are to run concurrently. Robinson was released on his own bail of £500 to appeal the sentences. Conditions of his bail include a complete alcohol ban and a curfew from 8pm to 6am.